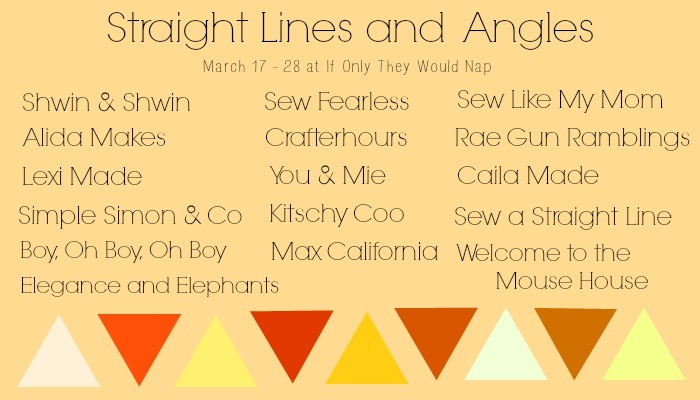 This week’s guests for Straight Lines and Angles have been absolutely fantastic, and today’s two guests are wrapping up week one with a bang. The girls at Crafterhours are brimming with talent. They both live in the oh-so-foreign to me world of girls, so their blog sees a lot more gathers than mine does. Between the two of them, they design and sell patterns and I spy quilt kits, sew crazy awesome dresses and skirts, and are, well, hilarious. Speaking of skirts, make sure you pop over to their blog to check out yet another fabulous one! Jodi at Sew Fearless is basically my blogging bestie. Or my life coach. Or who I want to be when I grow up. Except she’s younger than me. ;) She’s a mama to five (and she does it with amazing amounts of grace, so I’m pretty sure she’s supermom), a killer pattern designer, and has an impressive knack for bags and purses. Plus, I love how she’s embracing her own challenge to sew herself pants this year! 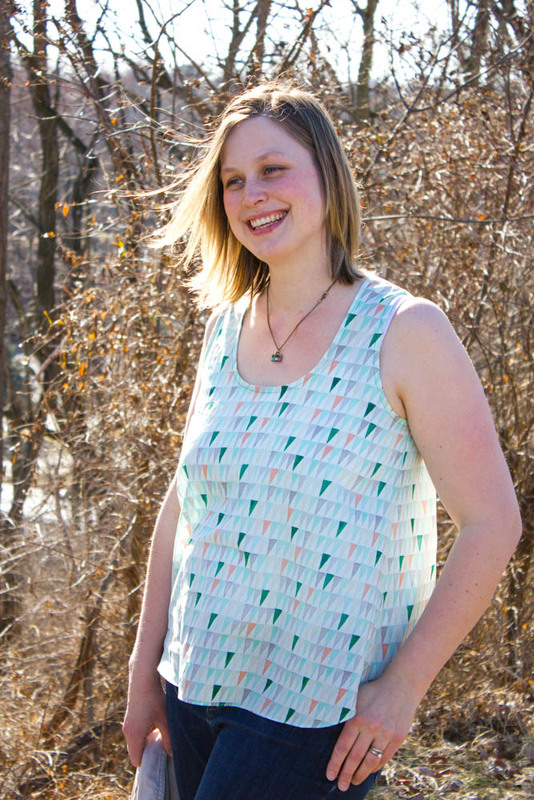 I love LOVE the tank she sewed for herself, so head over to her blog and see all the details. 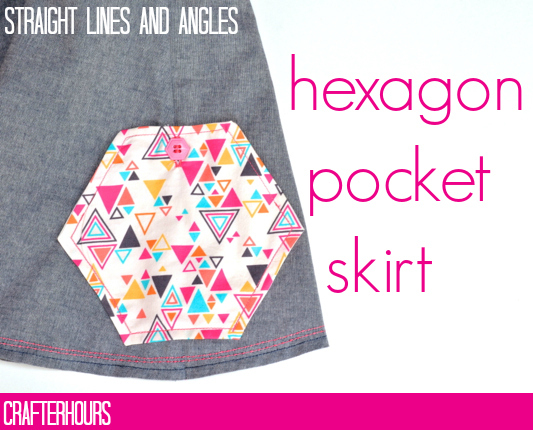 The geometric goodness continues next week! And the giveaway is still open, so make sure you enter.